It's hard to believe, but we have reached the final episode of the Following the Nerd Podcast. The live show has been running for around four years, with the podcast being a thing for roughly three. However, the radio station that hosted our show, Shine FM in Banbridge, N Ireland has sadly closed its doors for the last time. Will we return? Well, yes, we're confident we will in the future, but for now... in some form or other. In the final episode we reach back to the past and ... See More bring back some of the good people that made the show such a success over the years. As well as regular co-host Saxon, we bring back Mark McCann, Big Phil and Jay Faulkner. And we have the one and only Stuart in the house too. We talk about the things that have happened in the years since the show began and bid an emotional farewell to our listeners. Until we take the first step into our next venture, we want you all to know we love you all and come out of our Nerdy HQ every week for the love of the game but mostly for you guys. 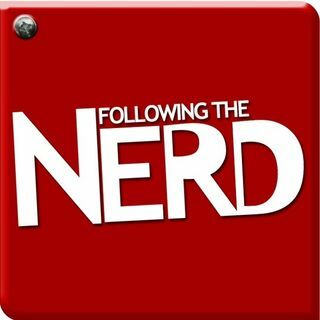 So, one last time, in the words of the late, great Mr Dave Allen, until next time, may your god go with you, I have been Marc and this has been the Following the Nerd Podcast.